A 20-YEAR-OLD man was lucky his punches missed a police officer when he took aim outside a Murgon pub. 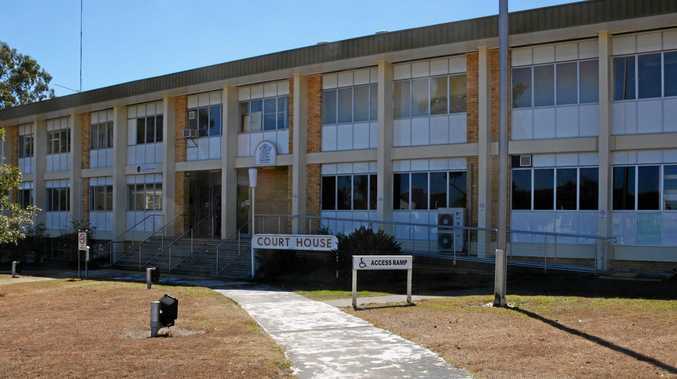 That's what magistrate Louisa Pink said when she read Zane Burnett's sentence at Murgon Magistrates Court on August 21. Burnett pleaded guilty to assaulting and obstructing police officers, being a public nuisance and failing to follow directions from police within a licensed premises. Burnett was outside the Murgon Royal Hotel on June 9 with his father and brother when police officers were patrolling the area at 12.08am. The court heard police officers talked to Burnett's family members, who were arrested for abusive behaviour. Prosecutor Barry Stevens said Burnett approached one of the officers during his relatives' arrests and delivered a flurry of punches with both hands. "Fortunately the punches missed," he said. Burnett approached the officers from behind, obstructing police from arresting his relatives, and was pushed away on several occasions. Prosecutor Stevens said Burnett was a public nuisance due to using offensive language during the arrests. Magistrate Pink said she took into account the early plea, and Burnett was very fortunate none of the punches landed. If the punches had landed there would be a more severe sentence, including imprisonment, she said. Burnett received a $600 fine and no conviction was recorded.